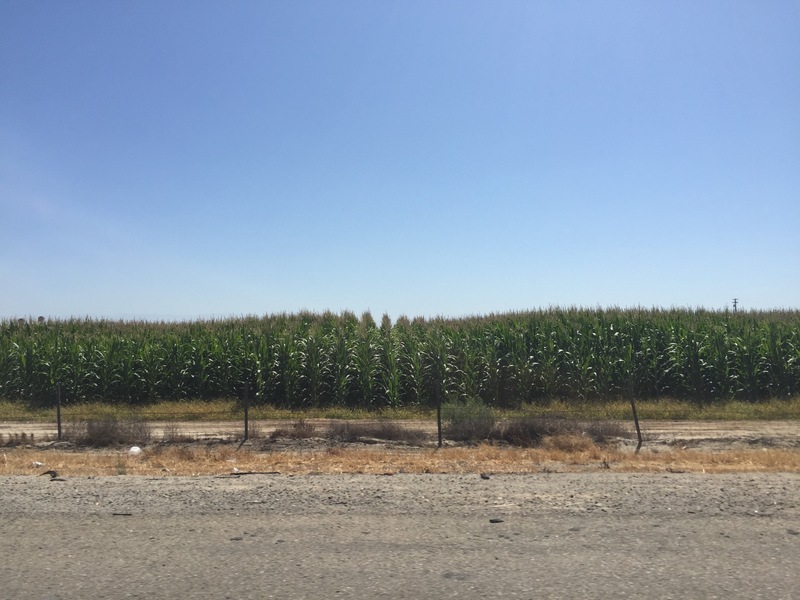 We’ve made it into the farms of central California, don’t let the picture decieve you, signs of the drought are everywhere. Though you could hardly tell in the mountains of Los Padres, water is most assuredly scarce. Dust obscures the mountains off in the distance, every 100 feet or so there’s a billboard shouting, “BUILD WATER STORAGE NOW”, or “SOLVE THE CRISIS, SAY NO TO CHEESE” (apparently it’s an issue). The orange trees are yellowing, dust devils infrequently assail the road with gusts of dried farm, and all the gas stations are cash only. The California citrus seems to have taken quite a hit, but it’s a case of down not out, the farmers are fighting the drought full force. The one consolation here is that even though the fuel is cash only, price has dropped a full dollar.